I have been a personal trainer and health coach for over twenty-five years and by far the biggest challenge I see people facing is the struggle with emotional eating. Eating for reasons other than hunger. The majority of my clients come to me with long standing patterns of making unhealthy lifestyle choices and a poor relationship with food. The struggle is real. It’s a pattern that can be changed, but takes a great deal of work, patience and persistence. There is no magic pill for making sustainable lifestyle changes. Sure, we live in a culture where everyone is promising the 21 day program for ripped abs, 14 days to lose 14 pounds or add 10 pounds of muscle in 30 days. I am here to tell you those programs may work in the short-term, but they rarely if ever work over the long haul. It just gives people false hope. Until you learn to change your mind set, it’s going to be very challenging to make sustainable lifestyle changes. You never hear about the year-long program to ultimate health and fitness, because we live in a microwave society that wants results NOW! A big part of my purpose with starting Divine Wellness Ministries is to help people make SUSTAINBLE lifestyle changes through Christ-centered principles. The journey isn’t about the weight loss, although that will be a healthy side effect, it’s more about developing your character to be more Christ like. To learn how to love yourself unconditionally like God does. To start to see yourself the way God sees you. To grow spiritually in joy, peace, patience, kindness and self-control. God wants us to be health in mind, body and spirit. Our thought life plays such a significant role in our overall health. “Be careful what you think, because your thoughts run your life.” (Proverbs 4:23) But yet, how many of us suffer from toxic thinking? How many of us look in the mirror and can’t stand our reflection in the mirror? It’s going to be really challenging to make lasting lifestyle changes until we have a mind and heart change. It’s one thing to read scripture, it’s another thing to truly let it sink into our hearts and our souls. Until we allow God’s words to transform our minds we will continually look for quick fixes, unhealthy habits and repetitive sin. “My son pay attention to what I say. Turn your ear to my words. Do not let them out of your sight; keep them within your heart; for they are life to those who find them and health to one’s whole body.” (Proverbs 4:20-22). She talks about how our mind controls our brain and that we aren’t victims of our circumstances. We can’t control what happens to us, but we can control our response to what happens to us. It comes down to choices. One of the things I tell my clients all of the time is that every time you put something into your mouth you are either moving towards better health or disease. When you choose a fruit or a vegetable over a sugar laden snack you are moving towards health. When you decide to have that soda vs. a glass of water you are moving towards disease. It’s your choice. It’s not a popular thing to tell them, but it’s the truth. As their coach, I feel like I would be misleading them if I told them something different. According to Dr. Caroline Leaf’s work, over a period of 21 days a short term memory becomes a long term memory, but it takes another 42 days for it to become a habit. 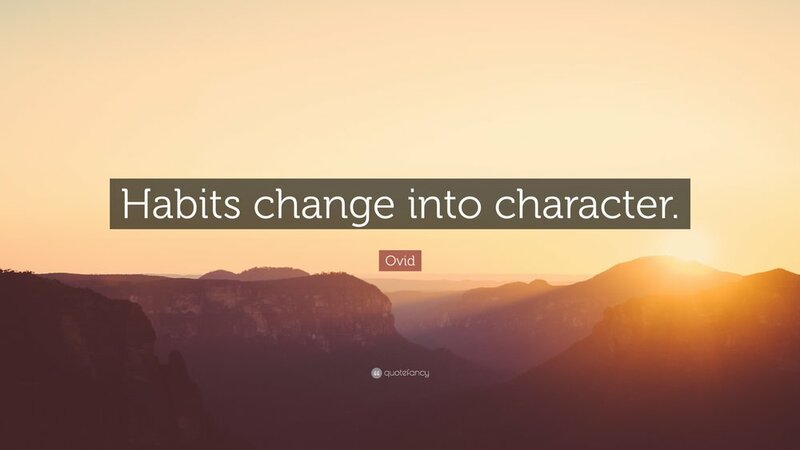 Therefore, it takes a minimum of 63 days to form a habit, not 21. The good news is that over the course of a year you can change six long-standing habits. My suggestion to my clients is to only work on one habit at a time. It can be overwhelming to try to make a complete lifestyle overhaul. When you focus on making one change at a time you can be much more deliberate around that change and the likelihood for long term success is much greater. Dr. Leaf refers to this as the Quantum Zeno Effect. This enables us to fully direct our attention, focus our reflections and rigorous effort to a particular issue which leads to true learning. When we constantly focus on one thing and learn everything about it, it creates a genetic change and learning takes place. These new thoughts and habits become entrenched and implanted into our minds. Now of course that can work against us too. Think food marketing. Food marketers put thoughts into our nonconscious mind. If we aren’t deliberate about what we watch and listen to, it can easily seep into our mind, without us really being aware of the power that can have over us. So how do we overcome our propensity to eat emotionally and become addicted to food as the food industry thrives on? My suggested is that we become addicted to God instead of addicted to food. God gave us the power of free will. We get to choose what we eat. We get to choose what we think about. We get to choose if we want to live a healthy lifestyle or not. We are not victims, we are given a spirit that doesn’t make us afraid, but of power, love and self-discipline (2 Timothy 1:7). What if we became addicted to God? What would your life be like if you let the Word of God sink into your heart instead of reaching for food that isn’t health sustaining. What if you followed this scripture daily “My son pay attention to what I say. Turn your ear to my words. Do not let them out of your sight; keep them within your heart; for they are life to those who find them and health to one’s whole body.” (Proverbs 4:20-22). Try becoming addicted to God and not food. 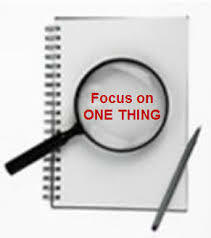 Focus on your thought life, allow time to be your friend when it comes to making sustainable lifestyle changes. And finally, don’ try to do this alone. Making sustainable lifestyle changes is one of the hardest thing you will do. I specialize in helping people make lasting lifestyle changes based on Christ-centered principles. I promise no quick-fixes, but I do promise results over time. Please send me an e-mail to troy@troyismir.com if you are ready to make lasting changes in your life.